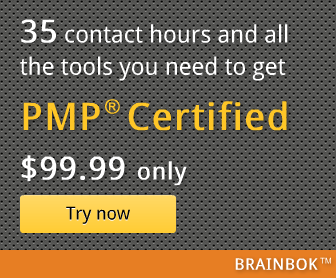 If you are preparing for the PMP exam, you'll definitely find today's tip useful. I've got a link to a chapter on Project Contract formulas, from Books24x7. It covers the formulas for various types of contracts such as Firm fixed price (FFP), Fixed price incentive fee (FPIF), Fixed price award fee (FPAF), Cost plus fixed fee (CPFF), Cost plus incentive fee (CPIF), Cost plus award fee (CPAF), Cost plus percentage of costs (CPPC) and Time and materials (T&M).